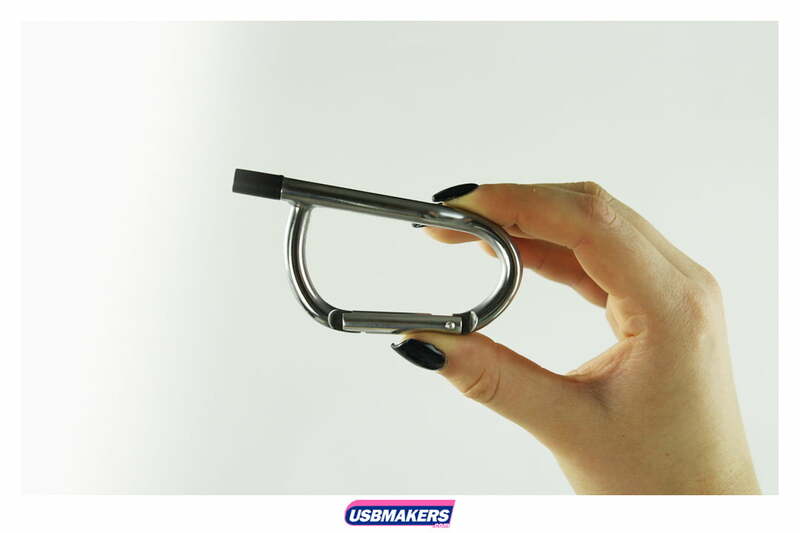 The Carabiner USB Drive has become one of our most fashionable USB Drives at this present time. 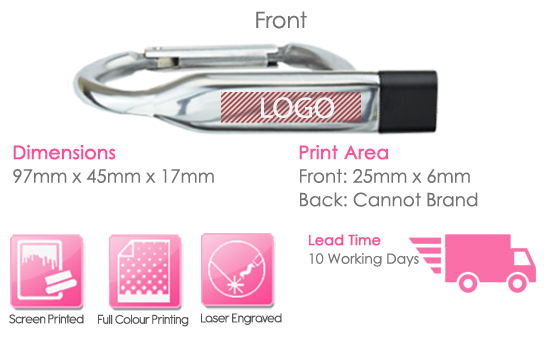 It gives a ‘slick’ appearance but is entirely corporate at the same time. The standard colours that are available in this contemporary style are silver, black and blue – therefore; customers have a handful of colours to choose from in order to put together their own design. 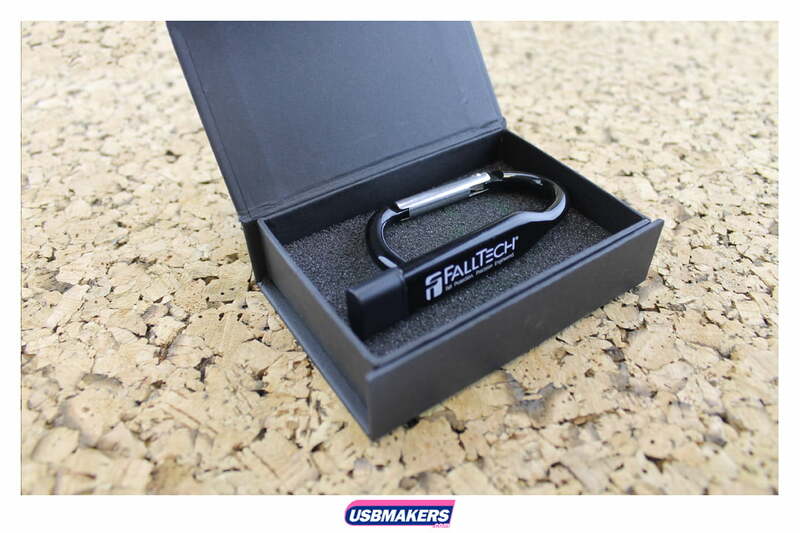 We can print up to four spot solid colours onto one side of the Carabiner USB Drive; however, if you would like printing on both sides, then this is achievable but for a small additional cost. Please ask our Sales Team for more information on this. 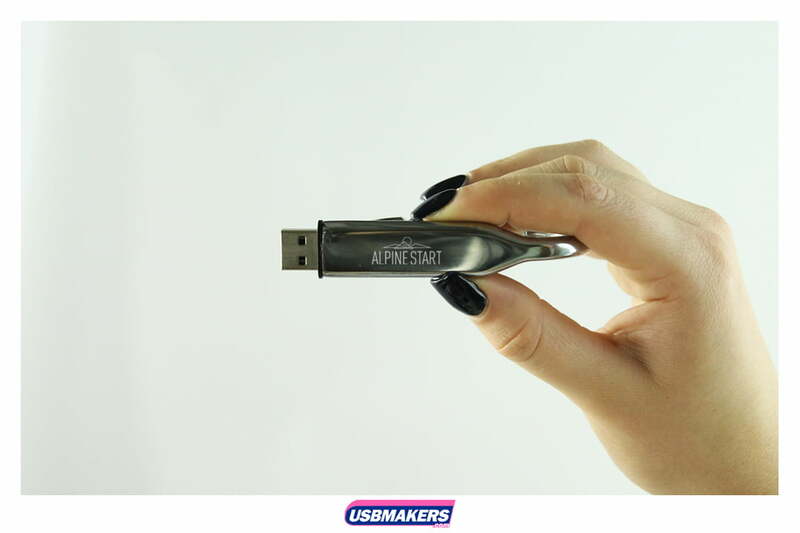 Memory sizes for the Carabiner USB Drive begin at a tiny 128Mb and range up to our increasingly large 64Gb capacity. Furthermore, data upload is free up to 400Mb and we can meet your additional needs by locking, unlocking or adding an auto-run feature to your data files.